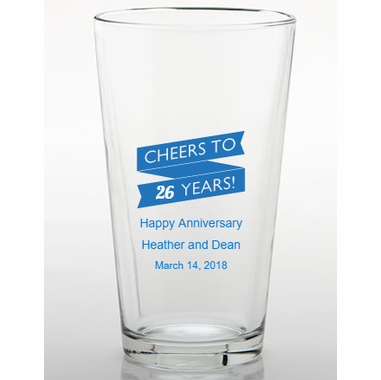 Custom pint bar glasses with a message of your choice make perfect anniversary favors. 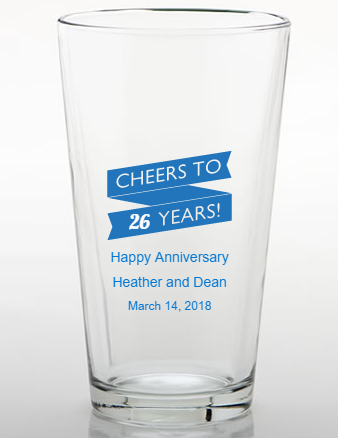 Guests will love taking home these 16 ounce pint glasses. They are made in the USA and measure 6 inches tall x 3.5 inches in diameter. The glasses are shipped in bulk packaging.